Q: I’m a sixteen-year-old entrepreneur. I watched your course “Building Your Professional Network” on LinkedIn Learning, and was curious if you had tips for someone who’s younger than most other business professionals. I find it difficult to connect with people because of the age difference. What if the generation gap is secretly an advantage? I’m a sixteen year old entrepreneur. I watched your course “Building Your Professional Network” on LinkedIn Learning, and was curious if you had tips for someone who’s younger than most other business professionals. I find it difficult to connect with people because of the age difference. Thanks for the question, Reilly. It’s always exciting hearing from future leaders looking to learn and improve. It shows how you are excited about having a successful career! I’ve definitely been in your shoes before. Now, I wasn’t quite as young as you; however, when I was fresh and starting in college I struggled networking with business professionals. I can tell you that the answer lies in the word HELP—but in two directions. First, the help you give to others and second, the help they give to you. First, look for ways to serve others. You may remember this from the “Building Your Professional Network” course: Give first. Look for and ask about the things that people are working on. What can you do to serve them? And perhaps it’s not a matter of knowledge or your expertise. Instead, just the fact that you are eager and willing to help them, gives you ways to help. Look for opportunities to do a short-term internship and say, “Hey, I see that you are working on social media,” for instance. The second option is help, but the other direction. Can you help me? I’ve said in the past that you shouldn’t reach out and try to get free help; but, as a student, as someone who’s young, you’re in a unique position. If someone is well established in their career and they’re asking for free advice, that’s just not very attractive to anyone. But if you’re young and you’re aspiring, it’s flattering to people to want to help you. I participate in a program like that called Take a Student to Lunch from my alma mater, BYU. Occasionally, students reach out to me. I take them to lunch, we discuss their career, and I give them some advice. I’ve built a lot of positive relationships from that. And it’s rewarding for me to help someone who’s young in their career. Take advantage of the unique situation that you’re in, to learn how to do what they do and become as successful. Not only will that strengthen the relationship. But it will create a positive pattern in your life of expressing gratitude to others. Thank you for the question, Reilly! And if you have a question you’d like me to answer, all you have to do is go to davecrenshaw.com/ask. I am ready and waiting to answer your question! Ready to increase month-over-month sales? 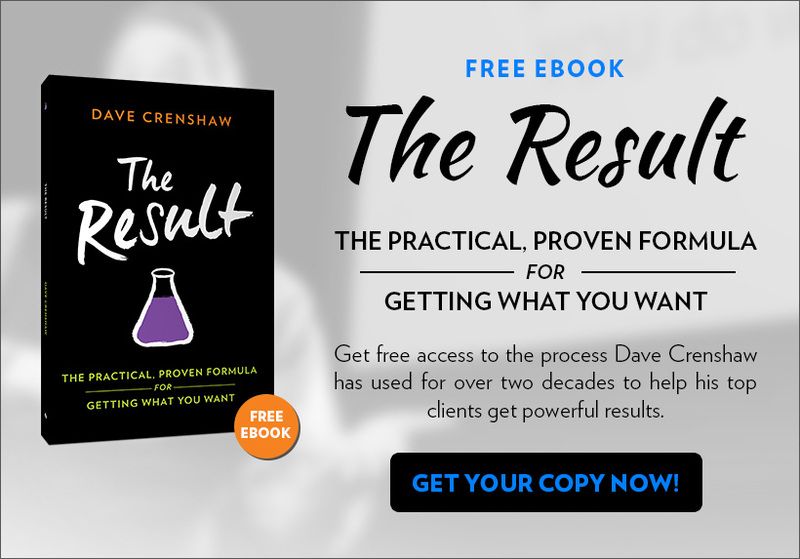 Tackle your marketing goals with Dave’s tested formula designed to help you reach a bigger audience and create a lasting buzz. 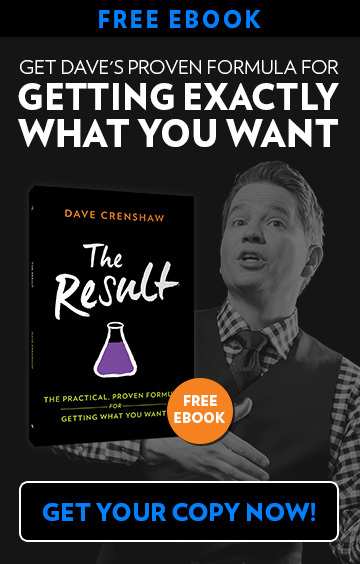 Click here for your free download of The Result: The Practical, Proven Formula for Getting What You Want.